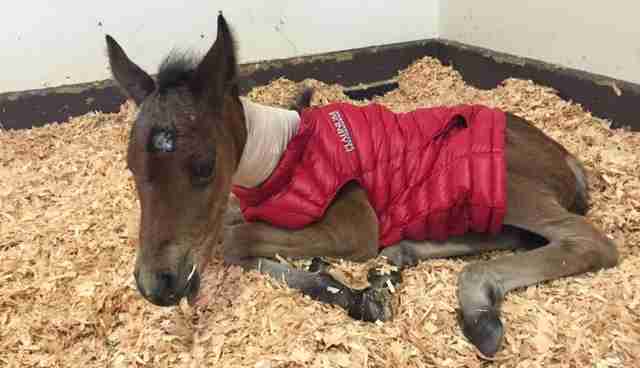 When a baby horse was seen wandering all on her own near the Warm Springs Indian Reservation in Oregon, it took the involvement of several groups to get little Charli Promise the emergency care she needed to have a fighting chance at survival. 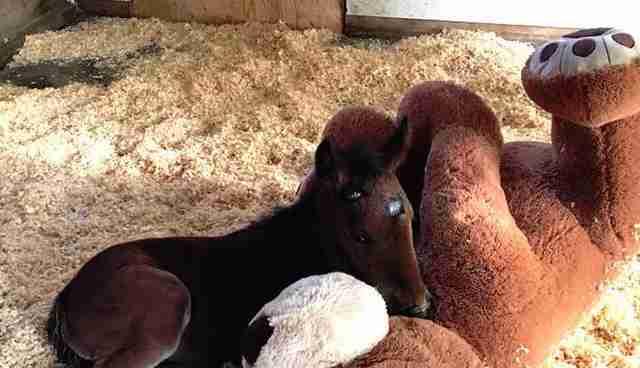 At just over a week old, Charli Promise was rushed to the Bend Equine Medical Center. Not only was she thin and weak, but she had wounds all over her body, including some that exposed bone on her forehead and had to be repaired with stitches. 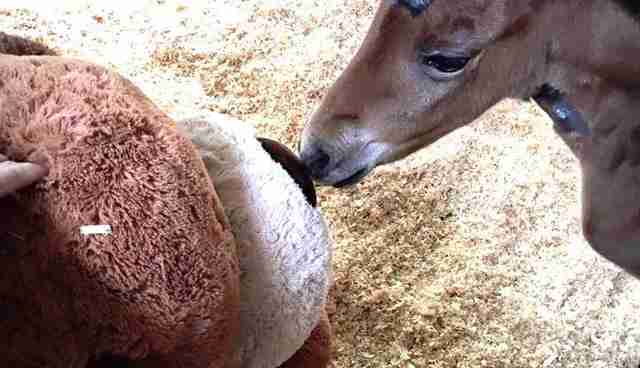 She also had pneumonia, according to a press release from 3 Sisters Equine Refuge, the rescue overseeing her care. 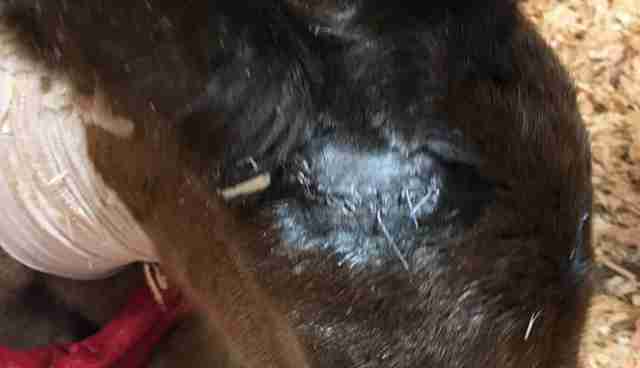 Unfortunately no one knows how she obtained her injuries - or what happened to her mother, Cyndi Davis, board director of 3 Sisters Equine Refuge, told The Dodo. Since Charli Promise was born wild, Davis said, it's possible she was orphaned by a car accident or cougar attack. 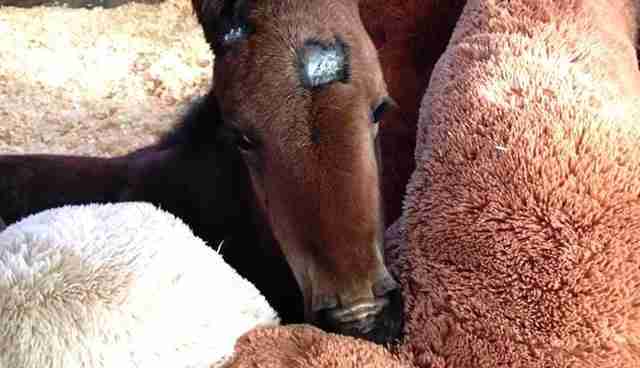 The young horse remained in critical care for four days after her arrival, Davis said. But thanks to the action taken by the individuals on the reservation who called for for help, Charli Promise is well on her way to a full recovery. 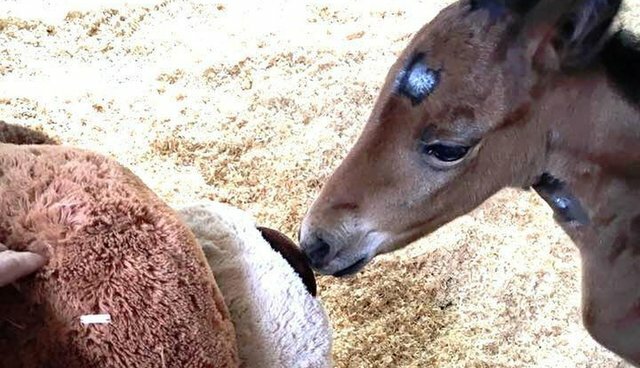 "This little baby is one tough fighter," 3 Sisters Equine Refuge wrote in a recent Facebook post, noting that she's still on medication and has to be fed every four hours. Thankfully, she's been gaining weight and growing stronger each day. Ever since her rescue, Charli Promise, who is now over 2 weeks old, has gained quite the fan club. 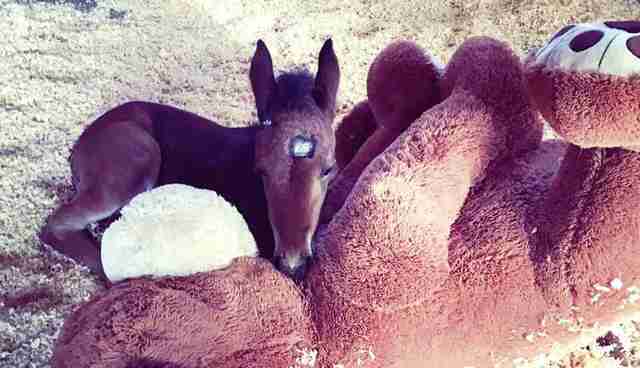 Recently she was gifted with a useful surprise for a young, motherless horse in need of comfort: a giant stuffed dog. Charli Promise took to her new friend immediately. It probably helps that the dog makes for the perfect bedtime partner. 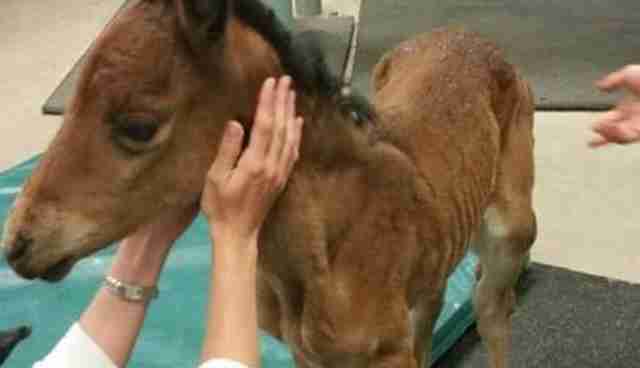 In the next few weeks, the rescue hopes to introduce Charli Promise to another young horse currently in its care, Davis said. She'll also be spending more time with a mare named Maxine, who has been something of an aunt figure for both orphaned horses. While it's unknown how Charli Promise came to be left all on her own, what can be celebrated is the fact that she's come so far ever since she was found. She's now getting the support she needs to grow up big, healthy, strong and happy. Interested in helping with Charli Promise's recovery? Consider making a donation here.